Re: Shooter on roof of TSBD? Is that JBC giving her the go sign? Seriously, the roof was a little further west Jake, past the gates(that black area just below the sprocket). That window may be visable in Darnell/Couch also. 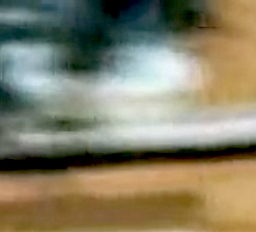 How can anyone tell whether it was the face of a shooter or simply a face, or perhaps pigeon droppings? 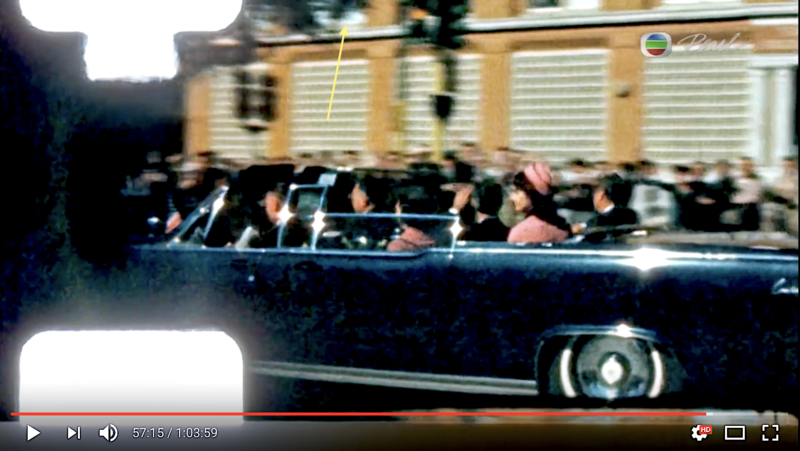 If there was any shooting going on at that second floor window it is much more likely to be a camera than a gun. Those windows were offices where people worked. A good investigation is fine. Speculation is not. The offices were occupied by employees of Southwestern Publishing Co. Yes, indeed... there is a line separating good investigation and pure speculation. 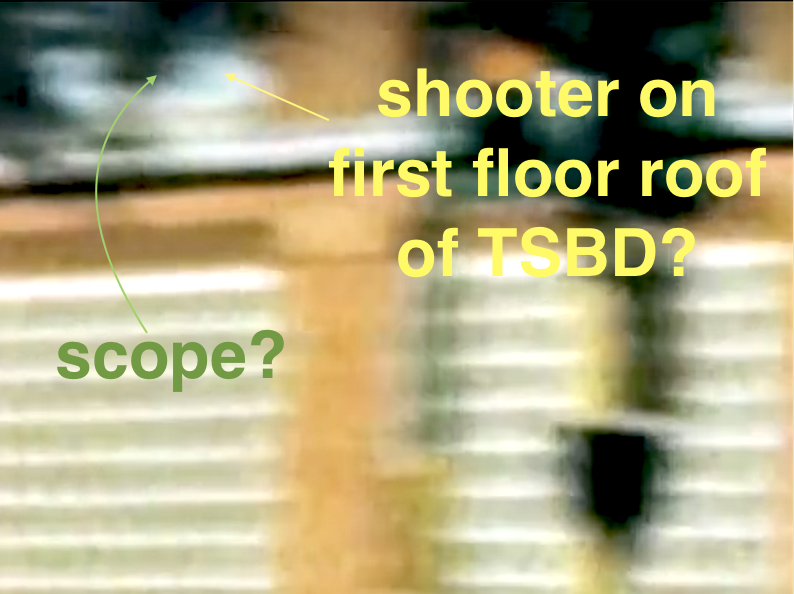 However, there are witnesses who say they heard shots coming from the TSBD building... witnesses who say they heard shots very close together... So, checking all clues around the TSBD is appropriate.